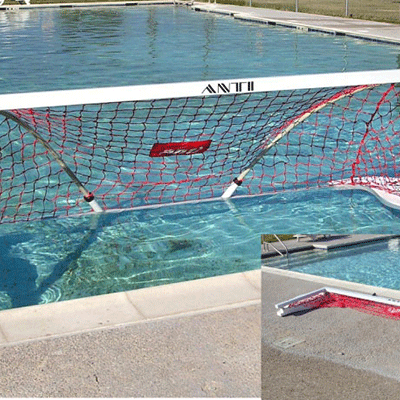 The Senior Folding Floating Water Polo Goal is a full sized competition water polo goal, dimensionally the same as the very popular ANTI Water Polo Goal with the added benefit that it folds flat for easy storage. Perfect for clubs with limited storage. Fabricated from the powder coated aluminium extrusions and hand-laid fibreglass for durability and reliability. Easy to erect and put down - just pull the rear arms out of their sockets and fold down the front frame onto the float panels. Once folded the goal can be easily carried by two people and put safely away. Net is tough polypropylene cord, knotted at every intersection. Maximum transportability with foam GRP protector-slides and external carry handles. 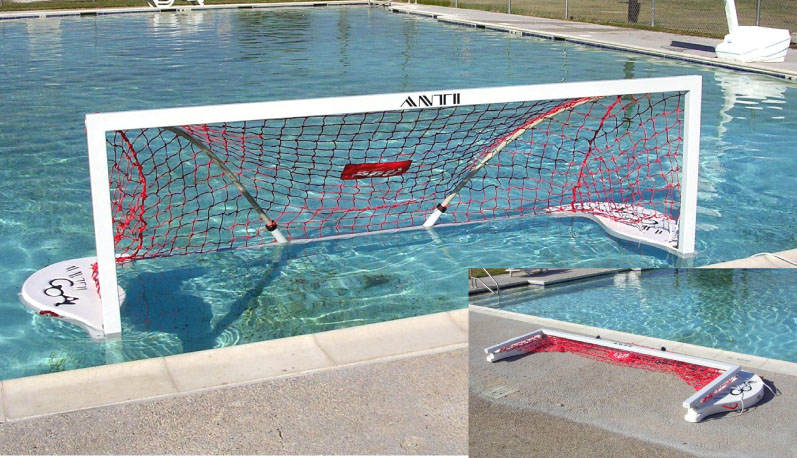 Patented Features include: Open corner net configuration to reduce the ball rebound, Air water displacement shock absorbers for maximum goal stability in the most turbid game environments, Aluminium front frame cross section for maximum strength and durability.